For vendors who sell products through their own sales department or networks of distributors and resellers, channel data analytics define and consolidate nearly all information guiding business decision making. Boosting sales performance in direct and indirect sales channel is complex. In many business settings, channel sales partners and team members don’t have the resources to report up-to-date and accurate channel data to the vendor. In return, salespeople receive marginal reports on the effectiveness of their sales tactics from the vendors they represent. In return, salespeople receive marginal reports on the effectiveness of their sales tactics from the vendors they represent. This Conundrum has perpetuated in a manufacturer’s unfamiliarity with their customers and a lack of visibility into their channel sales and inventory. Organizations that are using data to gain business insights are growing at an average of more than 30% each year. The importance of having complete visibility into different stages of the sales process and other business activities have compelled some vendors to search and ultimately invest in a more comprehensive channel data analytics and management solution. For many businesses, one of the initial steps in the business strategy process is to identify clients who contribute a significant amount of revenue to the business. POS data is critically important to channel sales professionals because, in order to be effective, they need to know who their ultimate customers are, what they’re buying, when they’re buying, where they are located, and how they’re sourcing their purchases. A dynamic channel data analytics management system will provide POS historical reports that help generate insights for preparing customer personas, managing inventory all based on predicting customers’ behavior, and determining which clients to pursue and which clients to de-focus. Most B2B companies expect on average that nearly three-quarters of their planned revenue, and even a higher percentage of profit, will come from existing customers. According to Pareto’s Principle, 20 percent of a company’s clients represent 80 percent of that company’s sales. For reasons obvious, it’s necessary to recognize these clients’ values as accurately and as quickly as possible. History of their past purchases or information on any late payments can assist sales teams in the way they engage with returning customers. For example, if the POS reports indicate that they are a new client, sales team members can use a different tactic such as up-sell to attract their attention. While if they are a loyal customer, an approach such as retention initiatives might be more suitable. On the other hand, if the reports indicate a poor payment history, the logical action would be to shy away from these clients entirely. The advantage of complete visibility into different stages of channel sales process is not only important in understanding which partners produce the best opportunity but also, the roadblocks they’d faced in the process. Tracking accurate reporting on sales volume, leads, completed sale cycles, and conversions provides essential analytics for identifying and eradicating roadblocks. When asked why buyers selected the winning vendor over others, 59% said that sales team had more insights about our company and needs. Before sales and marketing professionals invest their time and resources, they can look into available data to detect if there is a clear path to a successful sale. The objective review of the POS metrics helps channel partners to qualify or disqualify an opportunity early in the sales cycle. In many situations sales partners encounter a prospect that is interested in buying what they have been offered, however, a lack of time and resources inhibit the prospect from making a purchase. 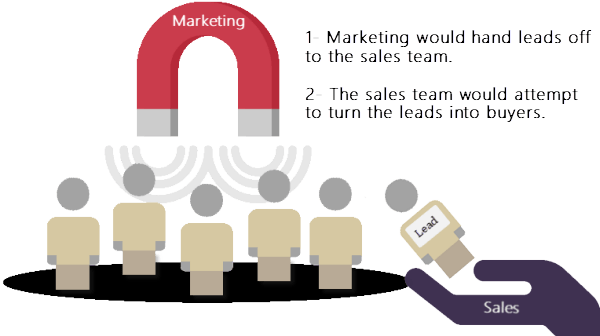 Most channel sales partners will consider the circumstances and notify marketing to nurture the lead as they continue to monitor the account until the prospect’s situation has changed. Today, the B2B sales process is more convoluted. B2B buyers are more informed and do a significant amount of research before they reach a salesperson. Consequently, sales teams rely on their marketing department for moving a prospect down the funnel. To facilitate sales, channel marketers can use their organization’s POS and other channel data analytics reports to study customers’ buying patterns in order to determine if implemented marketing tactics have any effect on sales. Up-to-date and precise information on channel performance yields more effective marketing plans and programs. B2B organizations with tightly aligned sales and marketing operations achieved 24% faster growth and 27% faster profit growth over a three year period. Channel sales personnel are usually at the forefront and the first point of contact a business might have with their potential clients. They have a personal and first-hand look at the customers pain-points and needs. Channel marketing personnel, on the other hand, understand the industry, overall target market, buying patterns, and buyers’ common denominators. Consequently, it’s crucial for sales and marketing to work together to create a comprehensive buyer persona in order to harmonize their efforts in targeting the ideal clients and increase acquisitions. Channel POS reports can be used to show sales teams’ attentiveness towards leads and their flow of touchpoints for turning a prospect into a client. The reports can also answer questions about how those various touchpoints impact a company’s bottom line. Real-time channel activity data gives businesses the ability to identify deals earlier in the process. Such reports can help improve conversion rates by ensuring sales personnel are optimizing interactions at every stage. It is in sales leaders’ best interest to adopt strong CDM processes; companies that do so typically experience a 5 percent to 10 percent increase in total sales. Having access to sales progress can help management recognize how much and what type of prospecting is required to meet revenue goals. The data can then help management in identifying the tools needed for assisting the sales team. The information will show management the most productive path to success while sales teams can find out where their time is worth spending, and the most effective way to sell to the top prospects. One of the most useful particulars that an organization’s sales and channel data analytics can deliver is the effectiveness of trigger events. A trigger event is the occurrence of a situation that opens opportunities for an organization’s marketing or sales team. Trigger events can also identify buying cues that a company didn’t even know existed. Of course, trigger events are different for each business. Almost 50% of sales reps say that their ability to recognize potential buying trigger events need improvement. In order to make sure sales reps act on trigger events quickly, the triggers need to be integrated into sales process and reports. Your POS systems should provide you with the tools to set custom alerts for such situations. By leveraging trigger events businesses can discover newer opportunities and move sales forward. Seeing their top opportunities on a regular basis helps sales members in prioritizing their actions. For example, studying customers behavior and taking into considerations the triggers that prompted customers to take action can help both sales and marketing teams in creating and implementing new campaigns. Let’s face it, you’ve probably used this phrase once or twice before! Channel conflicts are dangerous to an organization’s sales efforts. However, by inspecting channel data analytics reports, managers are able to quickly pinpoint and resolve questionable activities and/or channel conflicts. In a survey of more than 300 executives across a variety of industries, 71% of respondents said that 50% or more of their business decisions now include analytics. Channel POS systems play a significant role in storing and analyzing data that ultimately help an organization in market segmentation. The information is especially useful for vendors who use both internal salespeople and sales partners to reach clients. Market segmentation factor in the vendor and partner’s expertise and influence in a market. Selecting the right person with proper roles and responsibilities for a specific segment of the market removes the uncertainty which sales teams may have on territories, sales program implementation, and post-sales responsibilities. The information retrieved from analyzing data can be used as a basis to reduce channel conflicts before they even occur. In the past, businesses had to calculate sales commissions for their sales representatives manually. The process of extracting the data, making the calculations and verifying their accuracy took several days. However, with the accurate and detailed data that POS management systems provide, the partner payout can be automated. Inefficiencies cost many organizations as much as 20 to 30 percent of their revenue each year. Channel POS reporting systems let sales reps automate the sales reporting process and free up valuable time and resources. Spared from time-consuming tasks of reporting sales and inventory data, sales personnel are given the opportunity to utilize the results of the reports to better manage, plan and grow their businesses. And as we know, vendors always benefit from increased partner participation. Many companies use their POS data to better understand what is needed in order to drive sales opportunities forward, identify where sales reps struggle, and the reasons some opportunities were missed. The data is also used to identify the attributes and skills of top performers and how they differ from other sales reps. Further channel data analytics helps a company create personalized sales goals based on region, partners, and even individual salesperson. Once reps’ shortcomings are identified companies can adopt different sales coaching methods and personalized sales goals to help improve performance. Organizations with continuous sales coaching enjoy better customer relationships which ultimately improves sales performance. By 2020, 51% of employers say data science and analytics skills will be required of all marketing and sales managers; 49% say they will be required of all executive leaders, and 48% say they will be required of all operations managers. With so many innovative digital tools available to today’s B2B sales members, it becomes difficult for an organization to prioritize the type of skills sales members need in order to improve their performance and customer relationships. However, available sales and performance data provide management with information that will help them decide on what skills can help their partners and which partners can benefit from further coaching. Once an organization determines which skills are providing better results, they can deploy different training programs through their Partner Portal. Gathering data is completely different from knowing how to use that data to stand out amongst competitors. Organizations that are obtaining real value from their sales data know how to transition analytics into a competitive advantage. In addition, they are ahead of their non-data-driven competitors by having already identified the type and benefits of data for every department in their organization. By 2020, Companies that are currently leveraging channel data to gain business insight are predicted to take $1.8 trillion annually from their less-informed peers. In the realm of automation and cloud computing, data has become an essential business asset. Data-driven companies are analyzing and using their findings to improve core operations and if needed launch new business models. As a result, these organizations are gaining an advantage over their competitors by quickly and accurately identifying new opportunities, streamlining their processing methods, pinpointing their business’s strengths and weakness, and predicting their customers’ behavior. Knowing and continuously learning how to apply their channel data analytic findings to their business, enables a company to get to market faster with products and services that are better aligned with customer needs and desires. Ongoing sharing and collaboration of sales, marketing, financial data, and operational data offer insights that can amplify sales and help a company grow. Although 81% of companies who participated in a research performed by EY and Nimbus Ninety agree that channel data analytics should be at the heart of all their business activities, only 23% have executed a company-wide data strategy. Don’t be caught on the wrong side of the Pareto Principle in this regard. Data-driven organizations are 23 times more likely to acquire customers, six times as likely to retain customers, and 19 times as likely to be profitable as a result. Computer Market Research (CMR) understands that collecting the data is just the first step in the process. Even accurate data isn’t helpful if it’s not presented in an intelligent fashion. CMR can help you collect, process and analyze all of your distributors and resellers data by automating and streamlining traditional reporting procedures and consolidating them into an easily accessible cloud-based application.